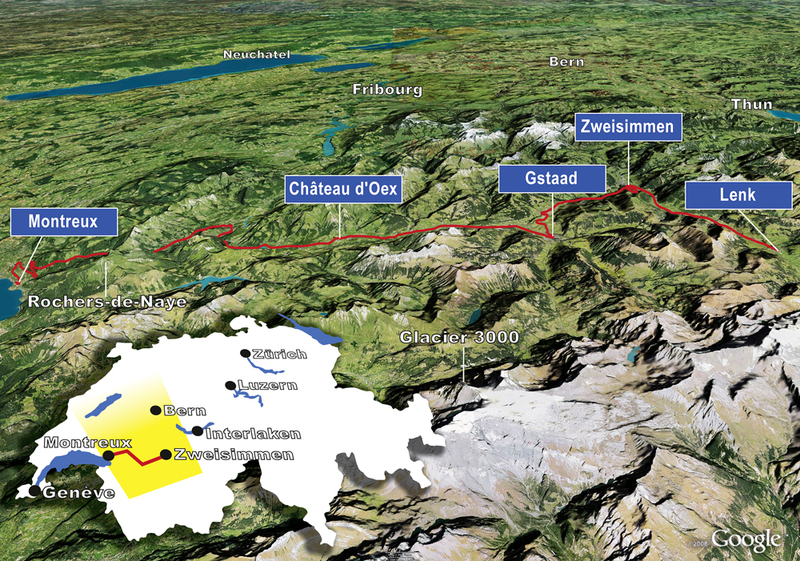 The countryside through which the GoldenPass line passes, is characterised by its richness and diversity. What a great invention panoramic windows have been! It was only to be expected that the first panoramic train was inaugurated on this extraordinary line. On top of the amazing views, you will also enjoy the most modern comforts in all of the coaches of the GoldenPass MOB Panoramic trains, in both 1st and 2nd class. It is worth checking the features of each train that is listed in the timetable. One of the two types of panoramic trains offers a very special attraction, eight VIP seats situated at the front of the train. The view from here is even more beautiful than the one that the driver has, as he has to keep an eye on the railway track.